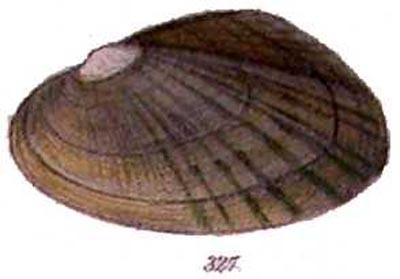 = Villosa vibex (Conrad, 1834). — Watters (2018).
? 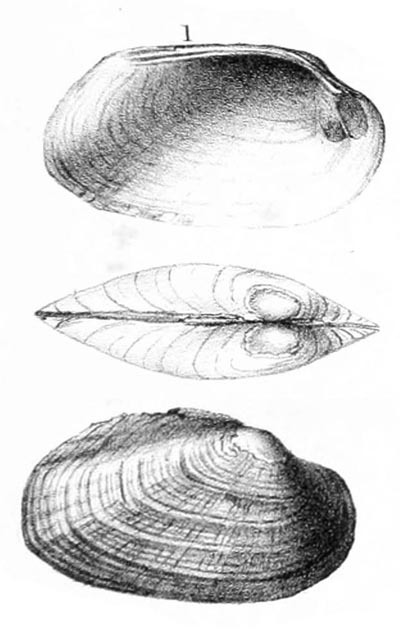 Villosa vibex (Conrad, 1834). — Watters (2018). 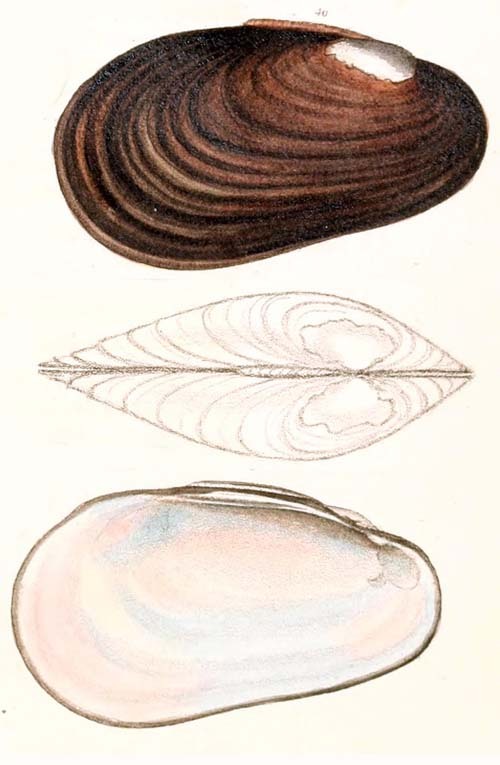 = Villosa vibex (Conrad, 1834). — Williams et al. (2017). + Villosa lienosa (Conrad, 1834). — Williams et al. (2014). 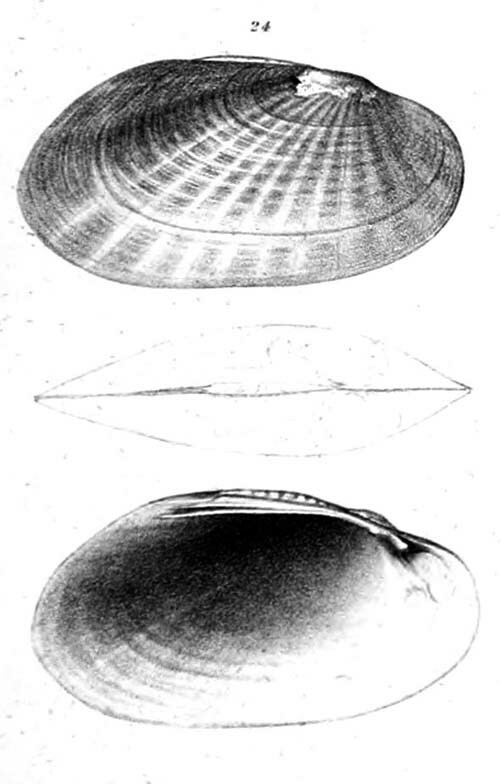 = Villosa vibex (Conrad, 1834). — Williams et al. (2014). 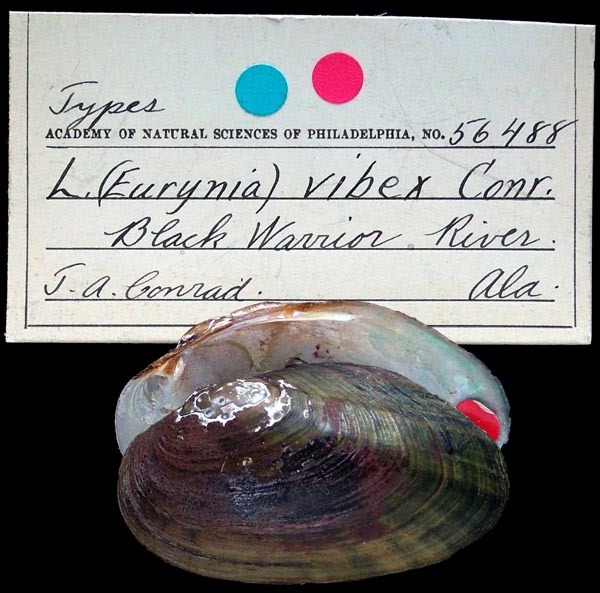 = Villosa vibex (Conrad, 1834). — ITIS (2012). = Villosa vibex. — Haag (2012). + Villosa lienosa (Conrad, 1834). — Williams et al. (2011). 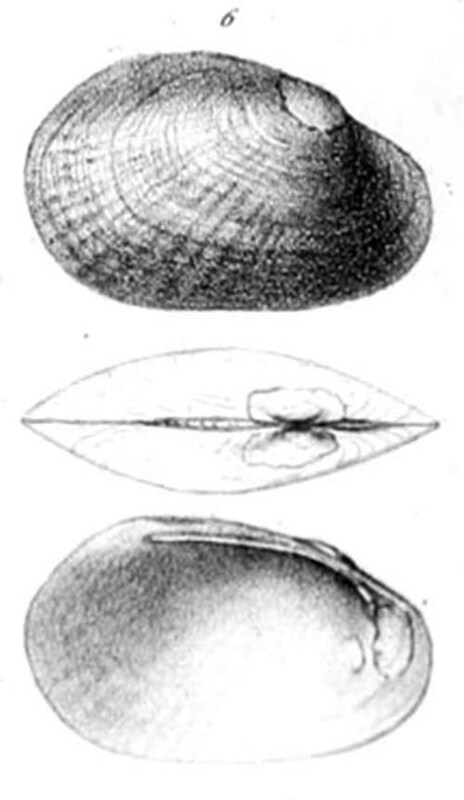 = Villosa vibex (Conrad, 1834). — Williams et al. (2011). + Villosa modioliformis Lea, 1834. — Bogan (2010). Lea, 1834, Trans. Amer. Phil. Soc. : 97 , pl. 13, fig. 40. 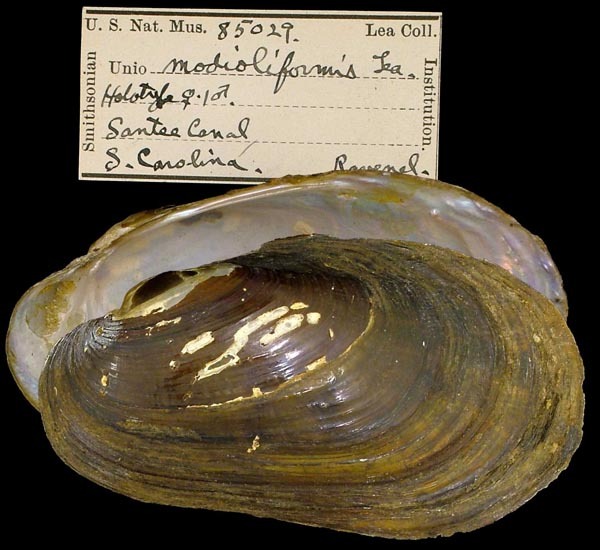 Type(s): HOLOTYPE USNM_85029, Santee Canal, S. Carolina. 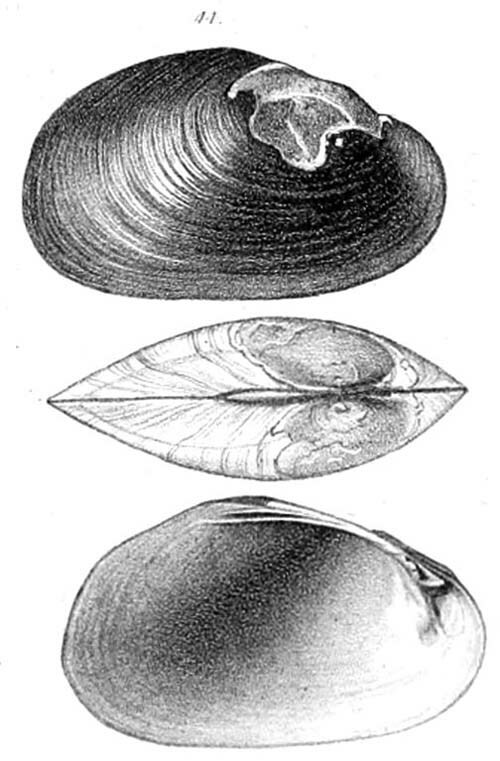 Conrad, 1834, New Fresh-Water Shells: 31, pl. 4, fig. 3. Conrad, 1853, Proc. Acad. Nat. Sci. : 260. 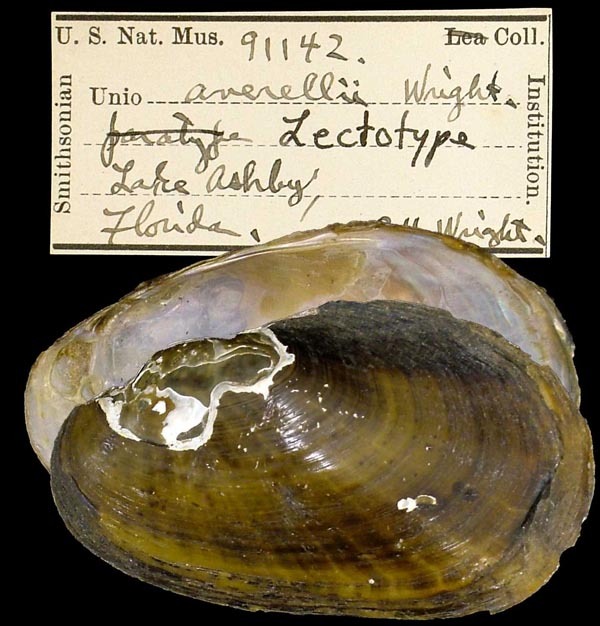 Type(s): UNKNOWN ANSP_56488, Black Warrior River, Ala.
Lea, 1840, Proc. Amer. Phil. Soc. : 287. Lea, 1842, Trans. Amer. Phil. Soc. : 191 , pl. 7, fig. 1. 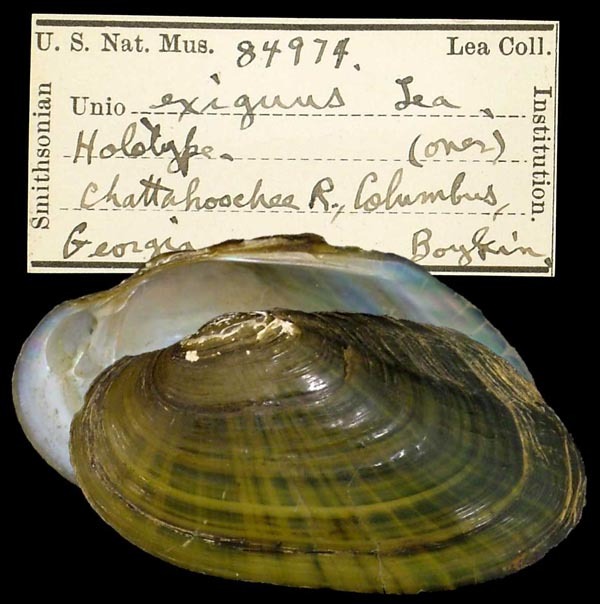 Type(s): HOLOTYPE USNM_84974, Chattahoochee R., Columbus, Georgia. Lea, 1845, Proc. Amer. Phil. Soc. : 163. Lea, 1848, Trans. Amer. Phil. Soc. : 70 , pl. 2, fig. 6. 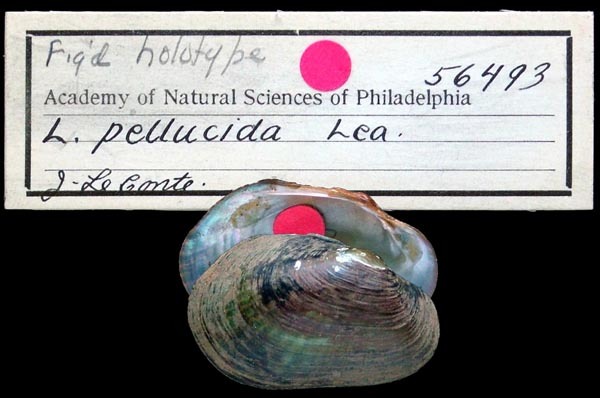 Type(s): HOLOTYPE (MONOTYPY) ANSP_56493, [no locality available - North America]. Conrad, 1849, Ann. Mag. Nat. Hist. : 300. Conrad, 1850, Jour. Acad. Nat. Sci. : 275, pl. 37, fig. 2. Conrad, 1853, Proc. Acad. Nat. Sci. : 257. 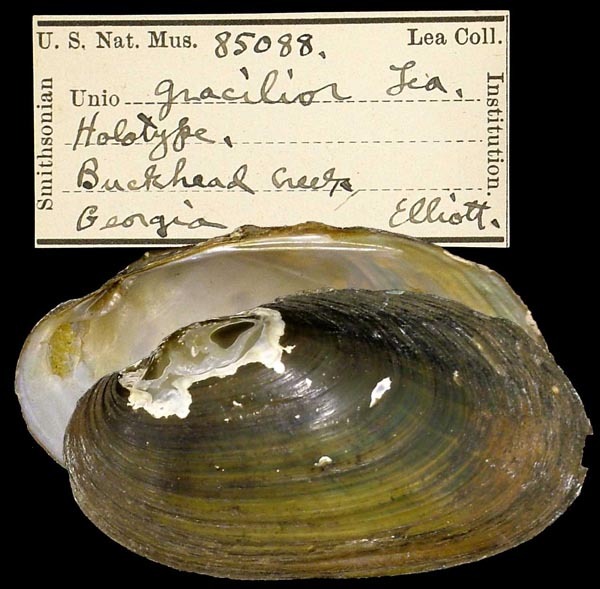 Type(s): HOLOTYPE MCZ_178778, Ogeechee River, Georgia. Lea, 1856, Proc. Acad. Nat. Sci. : 262. Lea, 1858, Jour. Acad. Nat. Sci. : 56, pl. 8, fig. 38 [as ‘gracillior’]. 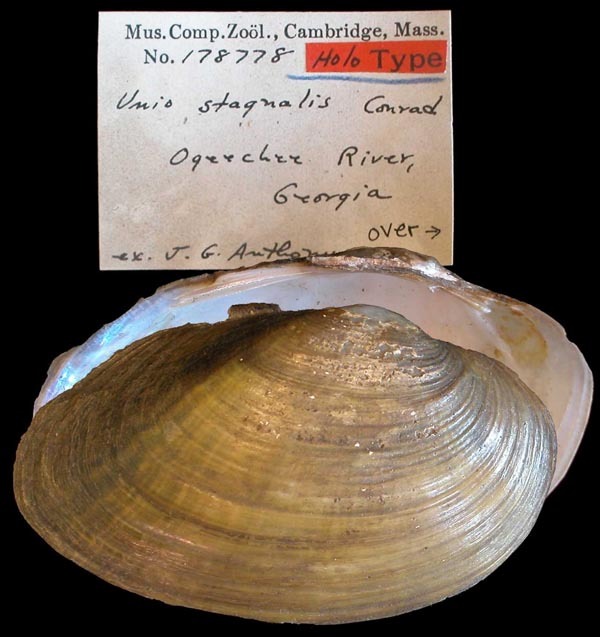 Type(s): HOLOTYPE USNM_85088, Buckhead Creek, Georgia. Lea, 1858, Jour. Acad. Nat. Sci. : 59, pl. 9, fig. 41. 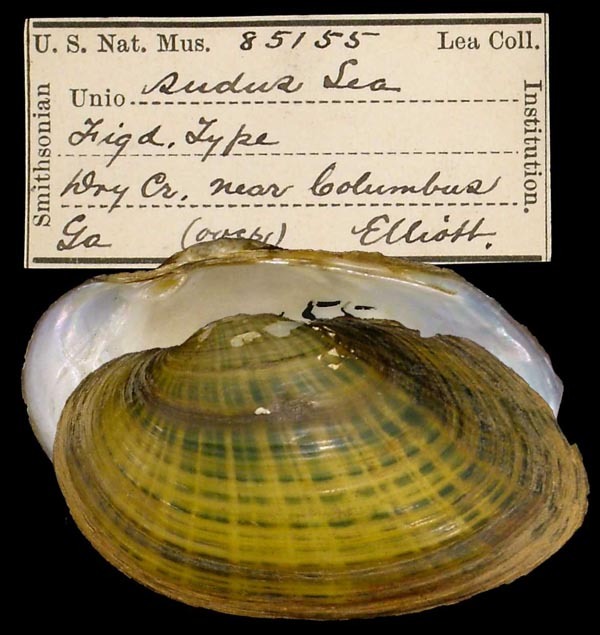 Type(s): HOLOTYPE USNM_85093, Othcalooga Cr., Gordon Co., Georgia. Lea, 1857, Proc. Acad. Nat. Sci. : 170. Lea, 1859, Jour. Acad. Nat. Sci. : 194 , pl. 21, fig. 77. 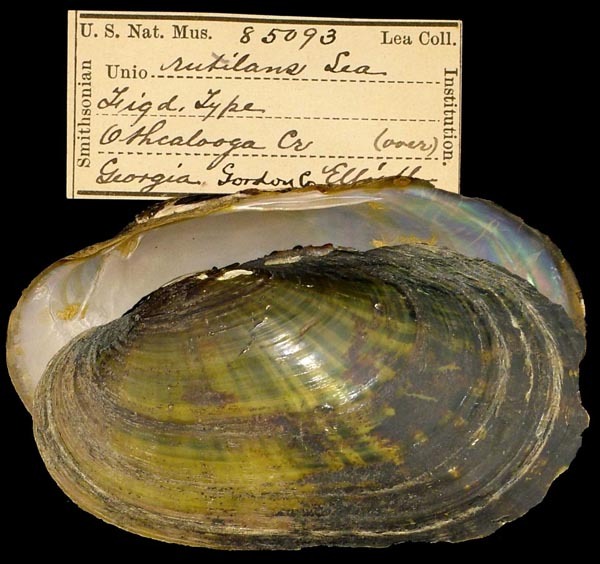 Type(s): HOLOTYPE USNM_85155, Dry Creek, near Columbus, Georgia. Lea, 1858, Jour. Acad. Nat. Sci. : 56. ‘Conrad’ Küster, 1861, Conchyl. Cab. : 207, pl. 69, fig. 1. ‘Lea’ Sowerby, 1868, Conch. Icon. : pl. 63, sp. 315. ‘Lea’ Sowerby, 1868, Conch. Icon. : pl. 65, sp. 327. Unio averellii B.H. Wright, 1888. B.H. Wright, 1888, Proc. Acad. Nat. Sci. : 115, pl. 3, fig. 2. 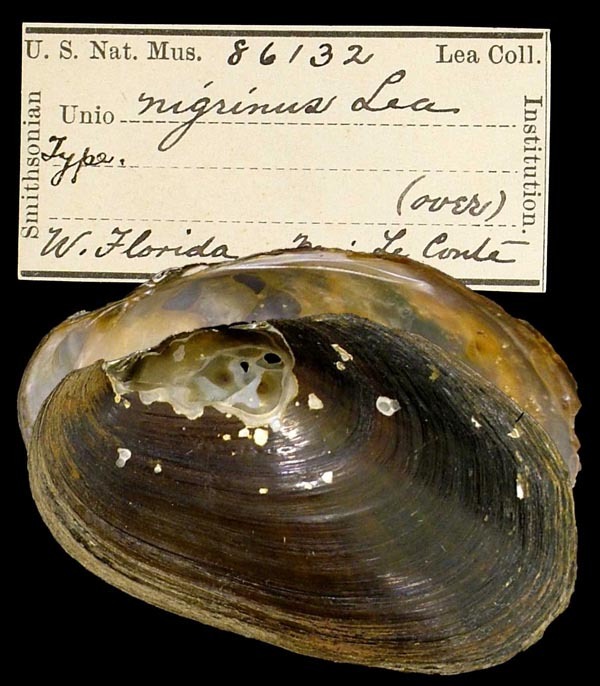 Type(s): LECTOTYPE USNM_91142 (selected by R.I. Johnson, 1967), Lake Ashby, Fla.
Unio floridensis Wright & Wright, 1888. Wright & Wright, 1888, Conch. Exchange: 105. Simpson, 1900, Proc. U.S. Nat. Mus. : 560. Simpson, 1914, Descr. Cat. Naiades: 138. Frierson, 1927, Check List N. Amer. Naiades: 76. R.I. Johnson, 1970, Bull. MCZ: 373. R.I. Johnson, 1972, Bull. Fla. State Mus. : 237. Burch, 1975, Freshw. Unio. North Amer. : 159. Unio prevostianns de Gregorio, 1914. ‘Lea’ de Gregorio, 1914, Il Nat. Siciliano: 39. Margaron (Unio) previostianus Watters, 2018. ‘Lea’ Watters, 2018, Visaya, Suppl. : 10.